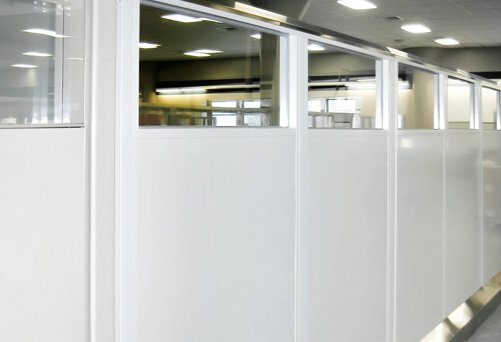 Whether you need to segment out some office space in your facility, wall off an area for better environmental control or divide plant space from floor to ceiling, PortaFab's full line of modular wall systems are ideal for all types of partitioning. PortaFab's pre-engineered wall systems eliminate many of the complexities associated with traditional construction and can be outfitted with a wide variety of wall panels including numerous sizes and style of glass. 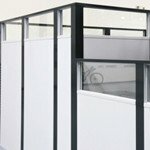 Sizes from free-standing 8' and 9' office partitions to 40' high floor-to-ceiling demising walls. 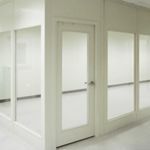 Partitions used to enclose manufacturing areas within a plant. Read the case study on this project. 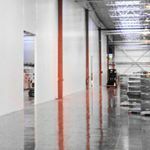 PortaFab wall partitions and demising walls can be used in a wide variety of applications. 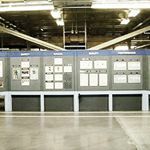 Please browse the galleries below to view samples of how our systems have been used in these real-world applications. 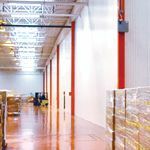 PortaFab XTRA-TALL wall systems offer a flexible solution for segregating plant space and achieving maximum height ranges quickly and economically. 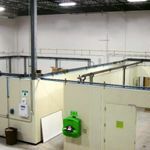 These wall systems can integrate with floor, ceiling, and mechanical components to divide plant space as well as control temperature and humidity to create clean environments. PortaFab's OmniFlex wall system integrates with the free standing wall support component to create self supporting walls virtually anywhere. And meeting the 5 lb. 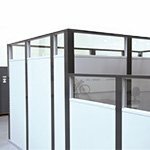 per lateral load requirement for walls over 60", these walls are sturdier than standard office wall partitions and can stand up to wear and tear. Interested in a custom price quote for your wall partition application? Click below to submit your inquiry to one of our sales managers and they will respond quickly to your inquiry.